For many practices, PPO participation is their biggest “expense” after staff wages (or even greater than wages in some cases). Historically, practice collection percentages have been 95%+ (of gross production). Now it’s not uncommon to see collection percentages of 70%-80%…and sometimes less. Most dentists join a PPO in the hopes of gaining and retaining patients. No dentist likes to lose patients and when you do lose a patient because you’re “not on their network”, it can be a powerful inducement to sign up for the PPO. Once you are participating with a PPO, it’s easy to feel there is no other choice. But, please note the data below. Most PPO’s have participation of 45%-60% of offices in this particular survey. Granted, that’s the majority of offices. But for any of the individual PPO’s noted, 40% – 55% of offices aren’t participating. So for every plan you feel you must have, keep in mind there are a lot of Doctors that are surviving without having it. And, if you aren’t participating in any PPO’s but your practice is foundering, maybe some participation would be worthwhile. Insurance companies have the upper hand but things don’t have to all go their way! You do have power. Don’t assume that you have to be participating as much as you are. 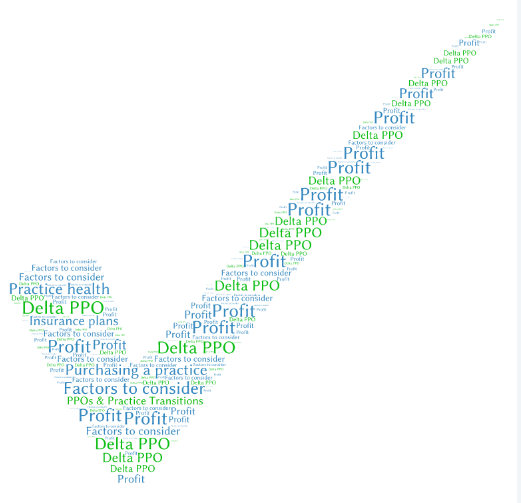 For most practices, a reasonable mix of PPO’s is what makes most sense. As practices mature and succeed, they are likely able to cut back on PPO participation. And, if you’re mostly busy, it doesn’t make sense to work at deep discounts. 44% of offices participated in 2-4 plans, with 30% participating in 0-1 plans and 26% participating in all 5 plans. This entry was posted in Bulletin Articles, Dealing With Dental Insurance, Dental Practice Management on August 31, 2015 by Bill Rossi. One has to consider many factors when purchasing a practice and now PPO participation has to be taken into account. This becomes even more important when you’re dealing with practice mergers. It is increasingly common to see exiting practices not sold outright but sold to and blended with another practice. I have worked with many of my clients through this merger process and have described below some scenarios to illustrate the high stakes involved. Example: A practice purchases another practice that’s participating in a large PPO that the purchasing practice isn’t. Does the buyer join that PPO for the sake of having a smoother transition? Continuing with this example, let’s say you’re a Delta Premier provider. In many parts of the country, patients with Delta Dental insurance have the option of going to a Delta Premier provider and getting that level of benefits or going to a Delta PPO provider where they have the incentive of even further reduced co-payments. If you are a Delta Premier Provider (the “Regular Delta” – not with Delta PPO) and you buy a practice that’s with Delta PPO, those patients will experience a transition as they blend into your practice. This has to be handled tactfully or the patients whom you are assuming the care of will bounce out of the practice. On the other hand, if you join Delta PPO and have a lot of regular Delta Premier patients, you will experience steeper discounts on patients you already have. This can be terrifically expensive, even more expensive than the actual practice purchase in some cases. Even worse is going into the situation without knowing what PPOs in which each practice participates. Sometimes the owners of a practice don’t even know for which plans they are providers. This is particularly true with PPO networks like Dentemax, Connection, DHA and others that include multiple insurance companies. For example, you may be contracted directly with MetLife or you might be indirectly contracted through one of these PPO network groups. If you’re purchasing a practice that has a lot more PPO participation than you do, you and your staff have to be ready to take these patients through transition (much as if you were leaving a PPO). However, this is more delicate because you don’t have patient loyalty working for you (yet). On the other hand, when you purchase another practice, you’re “topping off” yours, and it puts you in a better position to dump PPOs and take some patient loss. As you can see, all this can be quite complex. Another scenario: The practice you’re purchasing participates with the same PPOs. Okay, but you want to compare both practices’ PPO fee schedules. PPOs do pay different doctors differently! The practice you’re purchasing might be getting better reimbursements on the same PPO than you are (or vice versa). Obviously, you would want to negotiate with the PPO (if you’re going to participate) to ensure that you get the better fee schedule of the two for continued participation, even if you are bringing the selling doctor over. If you’re not doing a merger but an outright practice purchase, it’s very important to get a specific list of all the PPOs the selling doctor is participating with and the fee schedules. Of course, you want to look at all practice write-offs too. Some practices don’t do a good job of itemizing the write-offs so it’s hard to track how many are due to the various PPOs. Before purchasing a practice, you may want to call the relevant PPOs and negotiate the fee schedules in advance. If you’ve gone ahead and purchased a practice, you have an opportunity very early in the credentialing process to negotiate. PPOs tend to be a bit more willing to negotiate before you sign up. A practice purchase can be a great way to go. It offers a much quicker start or move in your career than building from a scratch. There is less risk and more predictability. Practice mergers can be the best deal in dentistry. If the conditions are right, practice mergers are THE very best way to build your practice. This typically consists of absorbing an older doctor’s practice into yours with, perhaps, the older doctor working in your practice for a while through the transition phase. In conclusion, If you are buying a practice (outright or in a merger), the right “PPO Plays” can make many, many thousands of dollars difference to your bottom line. No smart buyer will overlook the PPO situation. Bill Rossi is president of Advanced Practice Management. He and his associates are actively involved in the ongoing management of over 250 Upper Midwest dental offices. You may contact Bill at 952-921-3360 or through www.AdvancedPracticeManagement.com. This entry was posted in Dealing With Dental Insurance, Dental Practice Management, Dental Practice Transitions and tagged Dental insurance PPO's, Dental practice transitions on June 8, 2015 by Bill Rossi. Moving forward in 2015, it is best to simplify your fluoride codes. By now, most practices are using fluoride varnishes exclusively for both adults and children. That being the case, it may be beneficial for most offices to use code D1206 Topical Application of Fluoride Varnish as compared to D1208 Topical Application of Fluoride, which does not specify the type of fluoride formulation or technique used for application. Code D1206 has also dropped restrictions for reporting related to patients with moderate to high caries risk making the code appropriate anytime you apply fluoride varnish. There may be other reasons to use Code 1206 exclusively. Reimbursement may be higher through many insurance plans and, in addition, some contracts may reimburse D1206 for individuals 18 yrs. and older if the patient is at high caries risk. “High Caries Risk” then should be put in the remarks section of the claim form. If you have questions, call Matt Lahn at Advanced Practice Management. The number is (952) 921-3360. He would be happy to help! This entry was posted in Bulletin Articles, Dealing With Dental Insurance and tagged dental insurance codes, fluoride codes on February 27, 2015 by Matt Lahn. Most doctors believe that when an insurance company provides them with a managed care (PPO) fee schedule, there’s no negotiating. That’s not the case, says practice management consultant Bill Rossi*, based in Minnesota, a managed care stronghold. While insurance companies undoubtedly hold the upper hand, negotiations are not only possible, but when successful, can lead to thousands of dollars in increased profits! Rossi provides several reasons that insurance companies will negotiate. First, they want to keep patients where patients are happy. Also, they need to maintain the provider network to keep their employer-customers happy, and paying their premiums. Furthermore, many insurance companies reward their network managers for maintaining or building their network of participating doctors, and penalize them for related losses. That being said, market conditions often dictate if, and how much, insurance companies are willing to bend, says Rossi. If managed care penetration in the area is relatively weak, insurance companies are more likely to negotiate because they need your practice to build their network. Furthermore, the fewer doctors that are a heady in the network, the more bargaining power you have. Also, the more patients you have in a given plan, the more negotiating power you wield since the loss of your practice would blow a bigger hole in their provider network. The few doctors who do negotiate are often unnsuccessful because of their lack of preparation, knowledge, and skill, says Rossi. Too often, doctors negotiate fee increases on a handful of procedures, only to later determine that those were low-volume procedures that will only minimally increase practice profits. While they’ve won the battle, they’ve lost the war! In order to negotiate successfully, doctors should prepare well and pick their battles intelligently, says Rossi. He recommends establishing a fee grid detailing the fee reimbursements provided by each PPO plan for the top 20 procedures (by dollar volume) performed by the practice. Furthermore, doctors should also compute the discount off the practice’s full fee for each of these procedures. Once completed, the doctor should look for mistakes and inconsistencies between the plans, and use this information in the negotiating process. Armed with this information, doctors are now ready to play “PPO poker,” says Rossi. He recommends calling the PPO network manager and negotiating directly. Avoid being confrontational or combative in the fee negotiation process, but rather try to be civil and informative instead. If the fee the doctor is receiving is 40% of UCR from one PPO, but 65% of UCR for the same procedure from another plan, ask the underpaying plan if it is paying another doctor more for the same procedure. If so, tell them that they shouldn’t discriminate and should pay each doctor the same fee for the same procedure. Also, ask them if they would be willing to match the higher fee paid by the competing plan to keep you in the network. It’s important for doctors to threaten to leave the network if reasonable fee requests are not met. Otherwise, the plan has no reason to negotiate with the doctor and will refuse to budge. While Rossi concedes that fee negotiations are successful less than half the time, when they are he has been able to increase reimbursements by up to 30% for some clients. Also, look for added profit dollars from plan “glitches.” In some cases, Rossi has seen some procedure codes discounted more heavily than others due to insurance company errors. In other cases, the insurance company is simply not paying the correct (higher) fee that they agreed to pay under the contract. Rossi has also found errors when the insurance companies reset fees based upon an old, outdated fee schedule, resulting in the doctor’s reimbursements going down, rather than up, as agreed. If your practice is already at full capacity, dropping a PPO plan is relatively easy and certainly cost-effective. If not at full capacity, doctors need advance preparation and a concrete plan of attack. Without one, Rossi says you can do serious damage to your practice! First, doctors need to determine how much of their production and fee adjustments (write-offs) come from each plan and determine the related write-off percentage. Doctors also need to investigate and compare the in-network fees versus the out-of-network fees available if plan participation is dropped. With all other factors being equal, Rossi recommends “peeling off’ the smallest PPO plan first, since it will be easiest to replace the lost volume. Before dropping a PPO plan, however, doctors need a three-step plan of attack. First, they need to develop strategies to minimize loss of patients from dropping the plan. Next, they need strategies to slow down that patient loss. Finally, they need to develop strategies to counteract, or offset, the loss of patients. Doctors’ biggest fear in playing PPO poker is the effect that patient loss can have on their practice, says Rossi. While doctors will certainly lose patients when they drop a plan, the loss is usually not nearly as severe as feared. Many patients are loyal, and will stay with the practice if the situation is handled correctly, says Rossi. And doctors should be emboldened to act with the knowledge that if they leave the network, they can very likely come back, making this a very low risk decision. Proper communication about the change in plan participation is critical. In most cases, doctors are best served by NOT sending letters to patients announcing that they are leaving the network. Rossi says that such letters often sound self-serving, and can confuse and irritate patients. Rather, he recommends developing the message (or script) and delivering it “face-to-face” to the patient while they are in the office. Over time, the doctor can refine the message based on patient responses to help minimize attrition. This approach also slows down the patient loss, providing more time for the doctor to implement marketing efforts to rebuild practice volume. Rossi has had great success in negotiating increased fees from managed care plans when the conditions are right. Furthermore, he has performed many managed care “exorcisms” through dropping plan participation and converting practices from PPOs. He says these strategies can add more bottom line profits for mature practices than virtually any other. In one recent situation, Rossi assisted a practice producing close to $70,000 a month, but who was so heavily involved in managed care participation that it was collecting only 63% of production. He performed exorcisms on several PPO plans and implemented new marketing strategies to boost new patient flow. While the level of practice production remained stable, the collection rate increased to 82%, up 19 percentage points. Thus, the doctor was able to increase collections and related profit also need to investigate and compare the in network fees by over $150,000 annually – not by working harder, by working smarter! That experience makes playing PPO poker not only fun, but also extremely rewarding! If you have questions about whether your dental practice would benefit from going out of network with insurance, call Bill at (952) 921-3360 for a complimentary 20-minute consultation. This entry was posted in Dealing With Dental Insurance and tagged Dental insurance plans on December 2, 2014 by Bill Rossi. Sometimes PPO participation is necessary, even desirable. However, a little strategizing can do a lot for your bottom line and your peace of mind. Too often dentists join PPOs hastily, or leave PPOs recklessly. Bad decisions here can lead to thousands of lost dollars or hundreds of lost patients. Some of the most financially successful dentists I’ve worked with have been deep into PPO participation. Despite the fact that theoretically they should be making a quarter of the profit with a 30% discount (assuming a normal 40% net, a 30% discount would only leave you a quarter of the profits). These Doctors have defied the logic and netted well. So no smart practitioner should out-of-hand reject the idea of PPO participation. Some Doctors with PPO participation are very busy but they are not profiting well. They are on a treadmill. Ironically, the Doctors who are deepest into PPO participation are the ones who are in the best situation to leave but emotionally less likely to want to leave. It’s not uncommon for Doctors to not know which PPOs they are signed up with, especially PPOs within Delta. Doctors will balk at spending $3,000 per month in paid advertising while at the same time writing off $10,000 per month in PPO discounts. Somehow not receiving $10,000 is less painful than writing a check out for $3,000. Practices that drop a PPO, don’t prepare their staff and send letters can do serious damage to their practices. PPOs are not going to go away. You need to learn how to deal with them wisely based on your specific practice situation and resources. It is dangerous for me or any consultant to make blanket statements about anyone participating or not. There are too many individual factors involved and variations between marketplaces. Are You Considering Joining A PPO? What if a new PPO is coming to town and they claim to have signed up a couple of large local employers? Usually they are also working on signing up dentists in the area. It’s sort of a chicken and egg problem for them. Do they get the business first or do they get the provider network first? Anyway, for this example let’s assume they have already signed up businesses in your area. Naturally, you’ll be tempted to sign up to avoid a loss of patients. In most cases it’s not best to sign up with a PPO for defensive reasons. Why not wait and see? Chances are the PPO has out-of-network benefits and if that’s the case, many of your patients are likely to stay with you. Through one of your patients or by contacting the employer directly, get your hands on a benefit booklet. Often you’ll find the out-of-network benefit set is not significantly different. It’s just a matter of whether or not the patient goes to an office that’s agreed to a lower PPO fee schedule. You see, one of the things you’re supposed to get with PPO participation is more new patients. That’s your quid pro quo. “I’ll take the discounts if they’ll send more new patients over here to help me fill my chair.” However, if you sign up for a PPO plan and simply convert patients you already have to discount patients…ouch! You just lose income! So rather than take a certain loss of income because you might lose patients by waiting and seeing you’ll be able to know if you are really losing them. Then make the judgment if the loss rate is too high to sit on the sidelines. You can join the PPO then. They’ll be glad to have you on board. There is no need to rush to sign up. Usually PPOs at this point will offer a fairly good fee schedule. Keep in mind that what they offer at first may not be their top offer. You can negotiate with them if they need providers badly enough. If a PPO in your area made a big splash by setting up a couple of major employers who you do not have a lot of patients with, then you can adapt the strategy of joining the PPO when they first are signing up the big company because at that point, many patients might be making decisions about their insurance and you might pick up new patients who you might not have otherwise received. Your strategy here can be to bringthese patients into the practice and if the discounts become insufferable two or three years later, drop the plan and you’ll still keep a lot of the patients. Of course, it’s important to check to see if the plan does have out-of-network benefits, if you can drop at any time of the year or just specific times during the year, and you have to look at your own situation; how much in full chair time do you really have? How well are you doing at retaining patients? With any PPO decision, joining or leaving, it’s sort of like a person going on a new drug or exercise regimen. The person’s physical condition has to be known. So all the basics of practice management apply. Whatever your PPO participation or not, the stronger your practice is organizationally and otherwise, the better you’re able to deal with any decision. Again, many doctors will take tens or even hundreds of thousands of dollars in discounts every year but faint at the idea of spending $10,000 on management advice or staff training to fortify their practice. PPO discounts often run 15%, 20%, even 30%. To be successful you can either outrun or outgun the discounts. By outrunning the discounts I mean this: If you can produce twice as much as the average dentist per hour you can overcome a 30% discount. This means you really have to pay attention to the factors of capacity such as: scheduling, staffing, delegation and teamwork. Also, leveraging your practice time and talents with technology, rooms and equipment. Many dentists participate in PPOs but they don’t really change gears. They just sign up for the discounts and hope to “keep busy” and let the chips fall. The whole thrust of what I’m saying is, you’ll do so much better if you realize the ramifications of your decision and the realities of your situation so you make the right moves. You can’t do the Pankey/Dawson new patient intake format on deeply discounted patients. You probably won’t want to refuse to sign up for any insurance or PPO participation and work Monday through Thursday from 8:00-4:00 in an invisible location with no other marketing efforts and expect to fill your chairs. You can “out gun” the discounts by offering discretionary patient services that don’t come under the PPO fee restrictions such as Invisalign, Veneers, Implants and Bleaching. Profitability in those areas offsets the deep discounts in the others. Sometimes by just negotiating with the PPOs you can greatly increase your reimbursements. 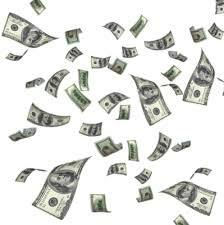 We’ve helped clients gain many thousands of dollar for their bottom line through correct negotiations with their PPO. Don’t overlook the fact that you can ask for annual increases. Sometimes when you ask, you’ll get a bump…but when you don’t they’re not going to go out of their way to give you more. Let’s say a certain PPO is 30% of your practice base. If you drop that PPO you could potentially lose that entire 30% but it is unlikely that you will 50% of those if you have decent out-of-network benefits. So for the purpose of this example, let us say that you have “at risk” 15% of your patient base. To minimize any loss of patients. To slow down any loss of patients. If it takes two years for you to experience the full effect of the attrition and you lose 7% of your patients per year, chances are if you are working to otherwise fortify the practice (see below) you will be able to overcome that 7% loss per year. If you send letters to patients announcing the PPO departure, you will intensify and accelerate any loss you will experience. These letters are not always read. They can confuse or irritate people. They usually sound self-serving. I feel that a lot of times doctors and staff send the letter out of fear of confrontation with a patient. Letters once sent, can’t be “unsent.” That’s why I feel it’s so much better to talk to patients face to face. In this way, you’ll see almost every PPO patient you have at lease one more time. You can refine and hone your message. If and when you decide to give up and just send letters, you’ll write a better letter. Even then I suggest sending them out in small batches at a time. Believe it or not, most patients will simply shrug and kind of see what happens. There is more involved here than I can include in this article but over the years I’ve found that basically the less said, the better. Sometimes it is better to be reactive than proactive. Keep in mind that you and your staff are already seeing patients out-of-network through a variety of insurance companies and the patients are OK with it and you are OK with it. Yes, some families will change Dentists to maximize their benefits. However, unless you are signed up with every plan in your area and have the lowest fee schedule in your area, there is always going to be a better deal somewhere else for the patient financially. You invite patients in and do your best to do your best and work to make sure they feel value in their visits and in their relationship with you. If the PPO you are dropping has little or no out-of-network benefits, it may make sense to send a letter. This is the exception and not the rule. If you’re having a loss of capacity (cutting back in hours or a partner leaving), then you may not need to otherwise fortify your practice. However, assuming you want to continue growing then you’ll want to be working on other aspects of the practice to beef things up. There is always plenty to work with. Chances are you haven’t really tucked in all the corners of your practice to get the best possible attraction and retention of patients. Plus, in every practice there is a gap between what you can do for patients and what they choose to have done. Closing that gap is a lifelong professional challenge. Working with your team on clinical calibration and co-diagnosis can yield great results. Many doctors overlook the fact that the amount of services offered and accepted per patient is usually a greater factor in a practice’s production than the number of patients seen per se. Maybe you won’t have the largest patient base in the world but you can have the best care for patients. This does not have to be a matter of high pressure sales techniques or violating your core values. Indeed, done correctly, it’s a matter of putting your core values into action in your everyday work. Experienced management help will guide you through realistic alternatives to increase patient flow, profitability and practice security. Recognize that you cannot wish PPOs away. Take time to manage your particular situation with the right strategies and training. Then, you’ll keep solvent and secure. This article was originally published in The Profitable Dentist magazine. Bill Rossi is president of Advanced Practice Management. He and his associates are actively involved in the ongoing management of over 250 Upper Midwest dental offices. You may contact Bill at (952) 921-3360 or apm@advancedpracticemanagement.com. This entry was posted in Dealing With Dental Insurance, Dental Practice Management and tagged Dental insurance PPO's on September 8, 2014 by Bill Rossi. Here is a fairly common scenario: A new PPO is coming to town and they sent you a letter saying they signed up local businesses in your area and would you like you to be a provider. Fearing that patients you already have may leave you because you would be out-of-network, you sign up. Pretty soon you are experiencing significant discounts on patients you already have, and if there’s been an uptick in new patients because you joined the plan, it has not been very significant. How much did this cost you? Let’s say the plan requires a 20% reduction In your fees and that you have about 100 patients working for those businesses. As a rough rule of thumb, the average production per patient per year is approximately $600. So, a 20% discount of $600 is $120. 100 patients x $120/year write-off = $12,000 “write off” of your bottom line! For real. Moreover, this is not just a one-year expense. PPOs usually offer a better fee initially than they will over the long run…they are not likely to keep up with your routine fee increases so the gap will grow. Now, do not get me wrong. For most practices, some Insurance participation Is inevitable. Even desirable. But you never want to make a decision to join or leave a PPO out of fear or anger. Look at It this way. PPOs are the ”House.” Like the casinos, they know the statistics and have most of the advantages. But you do not have to play dumb. Sometimes you don’t have to play at all! You are not completely without power. So how should this sort of decision be approached? Please keep these points in mind. You never have to hurry Into anything! Although dentistry Is 200 “clicks” per year to you and your team. To the average patient, it is only one or two clicks per year. Do not make a multi-thousand dollar decision because you lose a family or two. At the loss of one family, if you go running for the PPOs, well, you will end up signing up for almost anything! Do some research. What are the out-of-network benefits on this one PPO? Do the patients have insurance alternatives or are there plans that you are already with that reimburse better? How many patients do you already have with the employers involved? At the same time the insurance companies are lining up their provider network, they are also lining up their business customers. It’s sort of a chicken and the egg problem for them. To get business customers, they have to prove they have a network. To get providers, they have to prove they have business customers. This is a time when PPOs are most likely to deal. Keep in mind that at every insurance company/PPO there is a “Network Manager.” This is a person who is either recognized or rewarded for building a provider network and keeping that provider network happy. If you look at it a certain way, they see the providers as streams of income to them. The insurance company makes more money if it has a large provider network. Every provider on that plan represents a stream of income to them even if they have to pay a little more by “allowing” you more. If you are going to sign up, you want to negotiate first. Ask, “This looks like a 20% discount. I feel my fees are pretty fair already. Can you do any better?” Sometimes they will bring their fees up. You do not know if you don’t ask. Again like a casino, the odds are generally not in your favor but you do not have to play stupid (and you can even sometimes win). Every “win” can add or save thousands of dollars to your bottom line this year and for years to come. It’s high-stakes poker! If you don’t join now, the PPO will probably be glad to have you join later. You don’t need to rush into it. Don’t take discounts now for sure because of possible loss of patients later. We all know that hard work, integrity and skill is important to your success. But don’t forget another virtue is courage. Remember the courage it took for you to first start out in practice? When you bought or started your first practice or built your new building? Don’t lose that courage when you’re dealing with insurance decisions. Obviously, if you’re out of network, your staff needs to be good at dealing with patients and putting things in a positive light. They should not be defensive or bureaucratic. Whether you’re getting on PPOs or getting off of them, a little thought can go a long may. I see too many dentists working their butts off trying to outrun the discounts. PPOs are a fact of life and very few practices will be able to remain entirely out of network. Always take your time In making these decisions. Sometimes it is better to be reactive than proactive. But Handling It Poorly Can Be A Killer! I’m from Minnesota, the land of ice, snow, and PPOs. Over 40 percent of dentists here are involved in some type of PPO. More than 90 percent are participating providers with Delta Dental of Minnesota, which for all practical purposes is a PPO. Over the years, I’ve helped many doctors end their PPO participation. It’s not a decision that should be made lightly. I’m a pragmatist, not a purist. In some situations, joining or continuing to participate in a PPO makes sense. The case histories that follow illustrate points that I feel are important considerations for dentists thinking about ending their participation with PPOs and/or Delta. The names of the doctors are fictitious to protect the confidentiality of the actual doctors involved. Dr. True Believer saw a prominent, national lecturer who advised all the dentists in the audience to drop Delta, not accept insurance assignments, raise their fees, and stop doing amalgams. Unlike most people who attend a lecture and get pumped up by a speaker, this doctor actually went back to his office and did everything that was suggested. Bang! At first, things were great. “The next year was my best year ever!” he recalls. However, two years later, I got a call from this doctor. The doctor’s production was fading fast. His active patient count (once greater than 1,200) was now less than 300. He had done some very fine cases and made some people extremely happy. But, many patients left. Like many doctors who dropped Delta and other PPOs, the first thing he did was send out a rather high and mighty letter. The letter said he couldn’t be a quality dentist and continue to participate in Delta. He also said Delta patients would have to pay upfront now, since the insurance check would come directly to them. Some patients probably left right away. Many continued at the office, but were turned off by all the changes and decided not to return. Things became so slow, this doctor seriously had to reconsider whether he should rejoin Delta. However, doing so would be difficult because of the negative statements he had made when he stopped participating in Delta. The moral to the story: Don’t try to do everything at once and don’t send out haughty letters! At best, you confuse patients; at worst, you will scare them off. I’m not saying that everything the doctor did was wrong. In fact, each step by itself could have been beneficial if handled correctly. For example, when it comes to raising fees, I’ve seen no proof yet that charging up to the 90th percentile hurts a practice. The plain fact is that demand for dentistry is not very fee-sensitive. That is, charging less than average won’t get you lots of patients and charging more than average won’t drive away patients. I work with many dentists who no longer do amalgams and do just fine. However, I’m less enthusiastic about refusing to process insurance for patients. You can help patients by processing insurance claims without being “handcuffed” to the company’s policies. As aggravating as insurance is to you, it is even more confusing and aggravating to patients. A confused person does not buy! Don’t leave patients alone in the wilderness, because the only voice they might hear is that of the insurance company wolf! Some folks on the lecture circuit will never tell you about the dentists who dropped Delta and regretted it. They also have denied or ignored the obvious fact that there are many dentists participating in PPOs that are doing quite well financially. It’s important to make business decisions based on business criteria … based on what really is versus what we would like things to be. Dr. Good Guy has not been a Delta or PPO provider for years. The doctor is in his late 30’s and approaching his prime years in practice. The problem is the practice has not grown much over the past three years – despite the fact that his advertising budget is substantial! He has invested in the Yellow Pages and in an expensive national advertising program. Yet, new patients add up to about 12 per month. Obviously, this is not enough to support real practice growth. Do you see what’s wrong with this picture? The reason this doctor stopped being a participating provider with Delta was so he could distance himself from insurance and provide the treatment he thought best for patients, regardless of their coverage. Also, the doctor felt it was fair that everyone pay the same fee for the same excellent level of service. If quality isn’t a variable, then price shouldn’t be a variable. Yet, everything about the front-desk person’s demeanor was defensive. I honestly believe that she herself thought any Delta patient would be crazy to come to that office (and therefore many didn’t). No! You welcome new patients into the practice and do your best to do your best! The same thing goes if you are an out-of-network Delta provider. It’s not bad to be a nonparticipating provider. Never say, “We are not a provider” – you are a provider; it’s just that you are a nonrestricted provider! The moral of the story: Use the phone to welcome people into the practice, not to screen them out! Don’t be apologetic or pompous about not participating in any particular plan. Assume people will want to be in your practice and you usually will be right. Drs. Buzz and Cruise had signed up with several PPO programs over the years to “keep busy.” Since they had lots of open chair time, it was a reasonable thing to do. But the practice has matured to the point where the doctors were booked four weeks out, hygiene capacity and rooms were maxed out, and the discounts were killing them. They found that insurance discounts were over 15 percent of their total gross production. So, each year they were, in effect, working about a month and a half for free! They were involved in several PP0s, any one of which represented less than 15 percent of their patient base. Thus, the plan was to dump one PPO at a time and check to see that the practice still was doing well, and then peel off the next one, just like layers of an onion. As they lost some patients from peeling off the PPOs, they fortified the practice by working on other areas. They took up the slack in the recall system which had atrophied because of the high patient volume. The doctors brushed up on their case presentation; they also got the staff involved in looking past the patients’ most immediate problems and into other possibilities. They worked on the new-patient intake script to bring in more regular patients. They improved their signage (better to put a sign up than have to “sign up”!). They eventually got rid of most of the PPOs … but they still are Delta providers. They also carefully thought out how to tell patients about the changes. First, they got the staff’s full understanding and support. The staff, like many patients, did not understand the amount of the discounts and how much that was costing the practice. They came to understand that since quality was not a variable, it wasn’t fair for some patients to get the same quality of work at a much higher or lower fee than other patients. Although this practice sent letters to patients about the changes, they first spent a lot of time talking to patients face-to-face. In this way, they were able to refine their message. When you send a letter to someone, you can’t see how they react to it; however, when you talk to someone face to face, you can see their body language. Then, you’ll get a much better indication of how they feel about things and, of course, through their questions and feedback, learn how to best get your message across. The staff made a list of the patients on the plan and kept careful notes on who had been talked to and who had not been contacted. Over the course of a year, the doctors will know how many people actually remained, who needs to be talked to, who needs a letter, etc. The moral of the story: Take things one step at a time. Drop one PPO at a time. Most importantly, have concrete plans to strengthen the remainder of your practice to compensate for any patient attrition. In short, have a plan! Dr. L was a participating provider in XYZ PPO. Through a bureaucratic slip-up, his participating provider status was changed to that of a nonparticipating provider. The doctor and his staff were very busy, so they didn’t notice the change. The surprising thing is that neither did the patients! It was months before a patient brought it to their attention that he (the patient) was not getting the special PPO fee. Most of the other patients simply accepted the insurance company’s coverage for what it was and paid their copayments and deductibles accordingly. This particular PPO has decent, out-of-network benefits. For the most part, patients have more or less normal insurance benefits when they see a nonparticipating provider. It’s just that a deductible now applies and there are no longer any fee disallowances. I’m not suggesting if you drop a PPO or Delta, you say nothing; but, there is a lesson to be learned here. The moral of the story: don’t make too big of a deal out of dropping a PPO. Unless you are getting a lot of patient questions, perhaps the less said, the better. Sometimes it is better to be reactive than proactive. This article cannot begin to cover all the factors involved in eliminating PPOs from your practice. There is no one way to drop PPOs. In the past, we used to just send out mass mailings and let the chips fall where they may. We can improve on that approach. Before sending a letter, ask yourself: Do you send mass mailings out to patients announcing your fee increases? Or, do you handle dental treatment estimates one patient at a time? Don’t just rely on the mail. Instead, deal with patients on a one-on-one basis. Decide how to tailor your message accordingly. Maybe letters should be sent out in small batches, followed up with calls. Perhaps patients should be notified as they are scheduled for their recall appointments, or even better, as they come in for their next recall appointment. It may be better to risk occasionally having to write off a fee (which you did for years anyway if you were with the PPO) through just assuming the patient will continue with the practice. You can have a plan to smooth things over for those who are disappointed with the change. 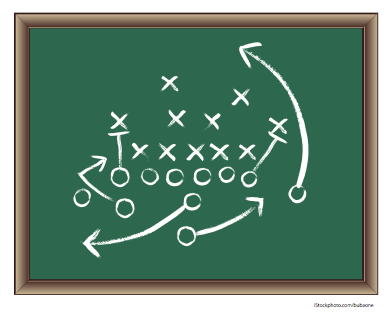 And again, make sure you have a plan to fortify the non- PPO side of your practice. Discuss the above case histories with your staff. 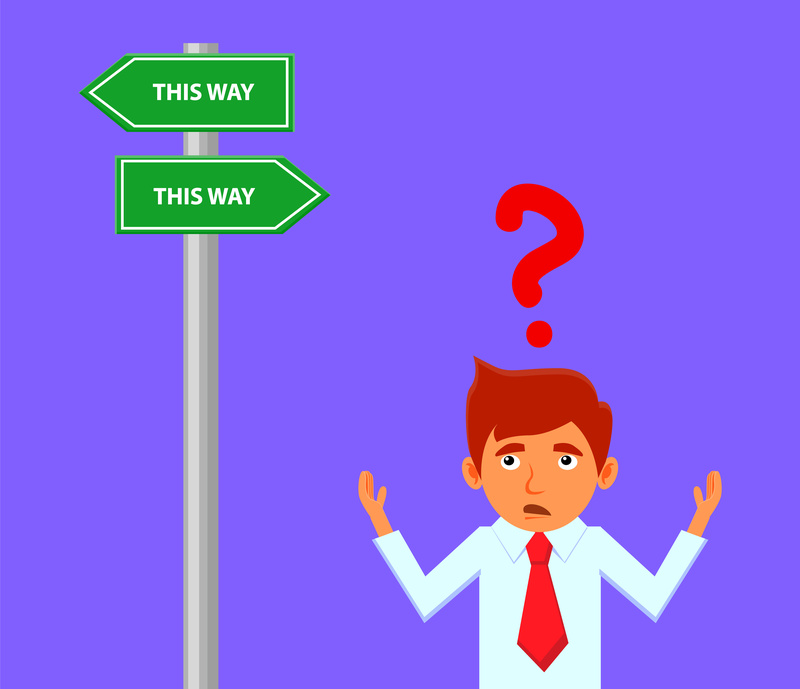 I know some of the recommendations are controversial, but such controversy can help your team sort out what is best for your patients and your practice. There are risks in stopping PPO participation, and each doctor has to carefully assess his or her specific situation. You will lose patients, but when the situation is handled correctly, you will keep many of them and save yourself a lot of write-offs and aggravations. Approximately what percentage of my production and collections come from the patients in this particular PPO? How much am I writing off per month with this PPO? How many of my new patients come to me because I’m on the PPO’s list? How many new patients will I get if I’m not on the list? If I lost half of the PPO patients, would I still have a very good chance of being busy? If I lost all of them, would I still be OK? Do I have concrete plans to build up the non-PPO part of the practice?Does this PPO have decent out-of-network benefits? Are my patients on this PPO young and cash-strapped or older and more affluent? Long-standing patients of record with good incomes will be more likely to stay. Have I tried talking to the PPO to see if they will consider increasing their reimbursement to me? Ask staff members working with your continuing-care system. Could they fill an additional hygiene day per week if they had the time to work the lists? Do new patients have to wait more than a couple of weeks to get in? Are you booked out more than a couple of weeks? Are you examining more than 150 patients per month? Can you increase your visibility through improved signage? Is the number of dentists in your area increasing or decreasing relative to the population? Are lots of other dentists in the area dropping a particular plan (thus causing an influx of patients from that plan into your office)? Have you maxed out your capacity? In other words, are you producing everything you can produce, yet you still are not experiencing a good or growing bottom line? Have you had a knowledgeable practice-management consultant look at your practice to determine if you could maintain or increase your production without the PPO part of your patient base? Can you expand your services to patient and refer out less treatment? For example, can you do more endo, implants, or ortho? Have you talked to colleagues in the area who have dropped this plan? What has been their experience? This entry was posted in Dealing With Dental Insurance, Dental Practice Management and tagged PPO Dental Insurance on September 8, 2014 by Bill Rossi. The Patient Protection and Affordable Care Act (PPACA) will impact you and your employees beginning this fall. There are still major aspects of the bill that are open for interpretation and are subject to change. However, it is important you know how this bill will affect you and your employees in 2010. When is a free consultation really free? When you give me a call for a brief discussion. We can talk for 15 to 20 minutes about what’s on your mind. 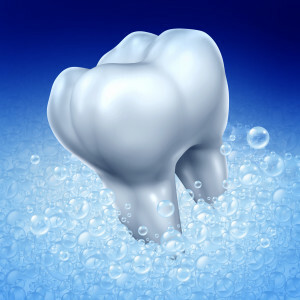 This entry was posted in Dealing With Dental Insurance on May 22, 2012 by Bill Rossi. 61% of area dentists now have websites, up from 41% last year. 59% of offices now have digital radiography. 65% have intra-oral cameras (but getting them used regularly can still be a challenge). 45% of offices have laser caries detection (e.g. Diagnodent from KAVO). See the complete surveys and more on our Fee Survey page. 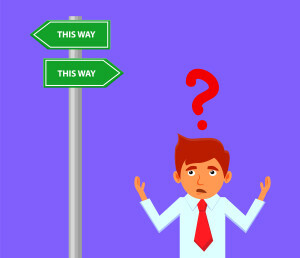 We put wages and benefits in the “Members Only” area, so if you’re a retainer client and don’t know how to find that, just call our office and we’ll give you the secret path.